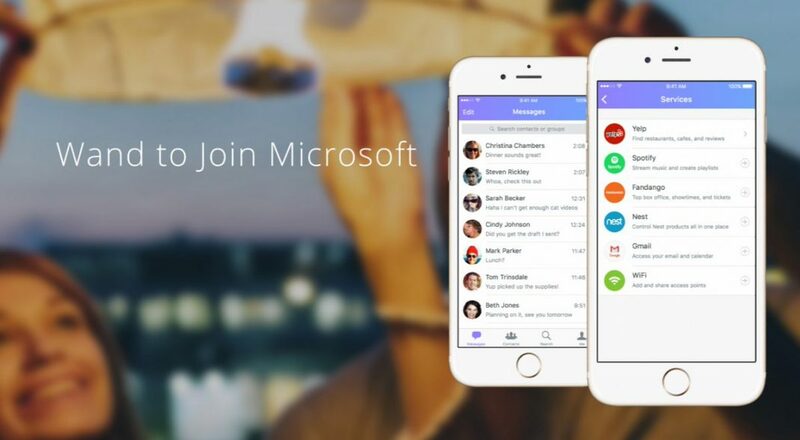 Wand Labs a messaging app developer is now part of Microsoft. Recently, Microsoft announced that they are buying LinkedIn for $26.2 billion. Latest Microsoft acquisition will boost accelerating innovation in Bing intelligence. Wand Labs’ technology and talent will strengthen our position in the emerging era of conversational intelligence, where we bring together the power of human language with advanced machine intelligence connecting people to knowledge, information, services and other people in more relevant and natural ways. It builds on and extends the power of the Bing, Microsoft Azure, Office 365 and Windows platforms to empower developers everywhere. The Wand team’s expertise around semantic ontologies, services mapping, third-party developer integration and conversational interfaces make them a great fit to join the Bing engineering and platform team, especially with the work we’re doing in the area of intelligent agents and chat bots.